This article appears in our Spring 2018 Newsletter. 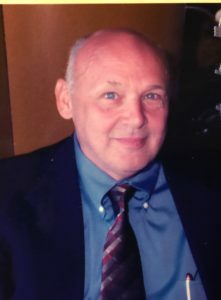 From 1967 to 1971, Thyra Burakowski’s husband, Anthony (Tony), worked for the United States Navy, and was in Vietnam from 1968 to 1969. In early 2012, Thyra’s husband of 44 years received a diagnosis of PSP and Parkinson’s disease. Although the VA approved some assistive home improvements and devices, recognizing Tony’s disability was a different story. Thyra filed their first disability claim in late 2013, and things became even more difficult. “The next four years were filled with large brown envelopes from the VA saying we were denied “service connection”,” said Thyra. “We filed multiple Notice of Disagreements (NODs) once we received the denials, which involved doctor’s letters validating Tony’s diagnosis, Agent Orange testing, and contacting our congressman. Yet we were still denied. The VA recognized Tony’s Parkinson’s disease through coverage of his medicine, therapies, and medical equipment, yet we were continuously denied disability recognition. We were continuously told there was no “service connection” related to his diseases. 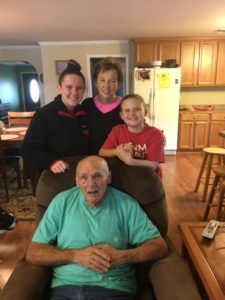 “I was exhausted as the caregiver, and the amount of paperwork and forms was overwhelming, but with the help of my family we did not give up,” said Thyra. 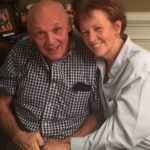 Over the next few years, Tony experienced weekly falls, excessive choking, double vision, loss of handwriting, and, in December 2016, after suffering a choking emergency, they decided it was time for him to enter hospice. “Once Tony was under hospice care, we contacted our congressman and our case was escalated up the list of hearings,” Thyra explained. “Because he was unable to travel and I was with him as his caregiver, my daughter represented him at the hearing and we were awarded a 30 percent disability rating. We were thrilled! Our journey didn’t stop there, however. Our representative advised us to file another claim to increase the disability rating to 100 percent because the severe symptoms Tony suffered had made him completely unable to work. “Sadly, Tony passed on April 4, 2017. Following his death, my family and I felt that it was more important than ever to have him awarded 100 percent disability, not for the money but to help other people in similar situations. We needed to set a precedent for fellow PSP sufferers. We contacted our congressman who said he couldn’t help us. We were questioned by a local VA Regional office as to why we were pursuing 100 percent, and we were accused of just wanting money. “I told Tony I would never give up and I didn’t,” said Thyra. “In August 2017, I contacted the White House via email two times. Within two weeks I received a letter that Tony had been awarded 100 percent service-related disability. The journey with the VA was done, but it was bittersweet. I won for Tony but he wasn’t here to celebrate with me. Have you experienced difficulties receiving service-related PSP disability assistance from the VA? Please contact Thyra Burakowski at thyratony@bellsouth.net, or call CurePSP at 347.294.2873.